I’m coming at you today with a double boost of beauty reviews in one combined post! I will be talking about how to protect your beauty from the inside and out while featuring products from both COOLA Suncare and HUM Nutrition. Both of these brands are both available at Sephora, but my Canadian babes may have some difficulty finding it on the Canadian website. To solve that, they can also find it on the brand’s own website. Or you can take a trip across the border like I did when I first purchased a HUM product. 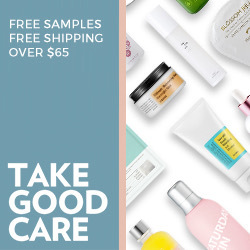 COOLA is a more recent addition to the Sephora website. They are really boosting the clean/green beauty side of their products now. Kudos to Sephora! Again, they may not have all of the products for Canada yet, but they are also available on their brand website. I know that some sunscreen and supplement products take a little longer to become available in Canada, so that could be the reason for both brands. I’ve been a fan of HUM Nutrition for quite a while now, and their latest releases are without a doubt my favourites thus far. I wrote a blog post about my main introduction to the brand and you can read that here. I’ve been lucky enough to get to try more of their products since then, including supplements to green-powered superfoods. My number one holy grail product I will always recommend from this brand is the Glow Sweet Glow vegan gummies! You can almost always win me over with gummy candies. These heart-shaped gummies are tangerine flavoured as if I needed more reasons to love them. Orange flavours are my favourite. They are formulated for ultimate skin hydration as they contain hyaluronic acid to keep the moisture locked into your skin. They are packed with Vitamin C and E for more skin-loving benefits. The container has a 30 day supply, with taking 2 a day. I spread it out with one in the morning and one at night. Sometimes I will skip one just to make it last a little longer if I know I can’t get a backup right away. Now, what ties it into the next health product is that the gummies also help stimulate collagen production. Let’s talk a little more about collagen. 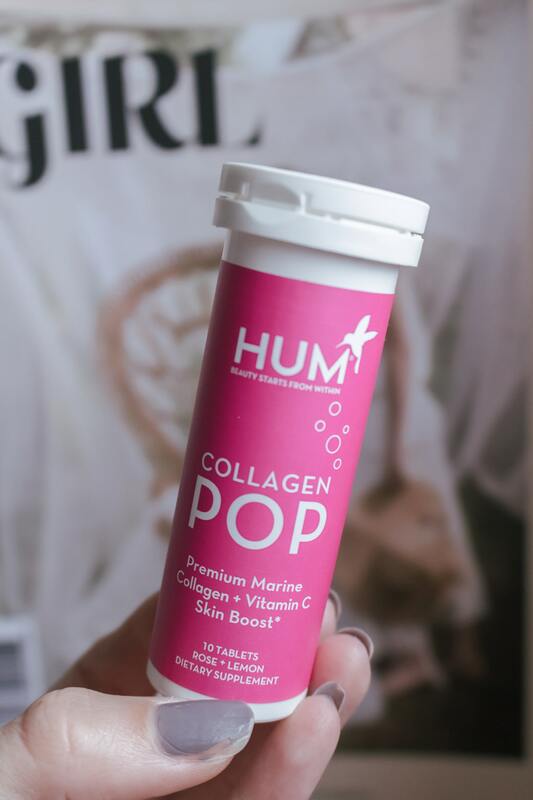 The newest releases from HUM Nutrition is their Collagen Pop. As more people are becoming aware of our inability to produce collagen past a certain age, everyone is rushing out to get collagen. 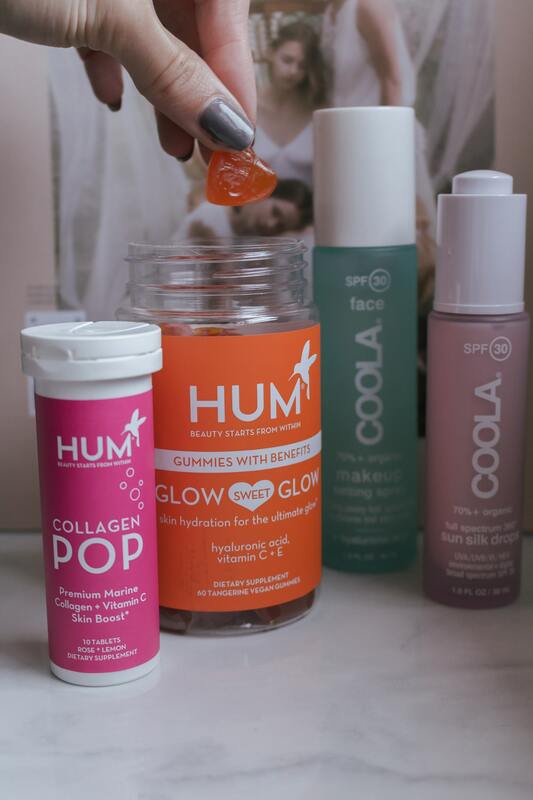 HUM has made it super easy with dissolvable collagen that you can pop into your water. These collagen and vitamin C loaded tablets’ main focus is to help give you firm and hydrated skin. Rose and lemon flavoured tablets are easily dissolved into your water to act as a beauty tonic to improve the elasticity of your skin and help produce collagen. The container is travel-friendly and easy to take with you on the go. It’s a win-win all around! Now that summer is settling into autumn, people are ditching shorts for sweaters and leaving summer behind them. There are a few things from summer that should be kept all year round, one of them being suncare products. COOLA Suncare products are very new to me, but very well loved around the world already. I’ve been dabbling in their organic sun protection products in the form of a liquid sunscreen and a setting spray. 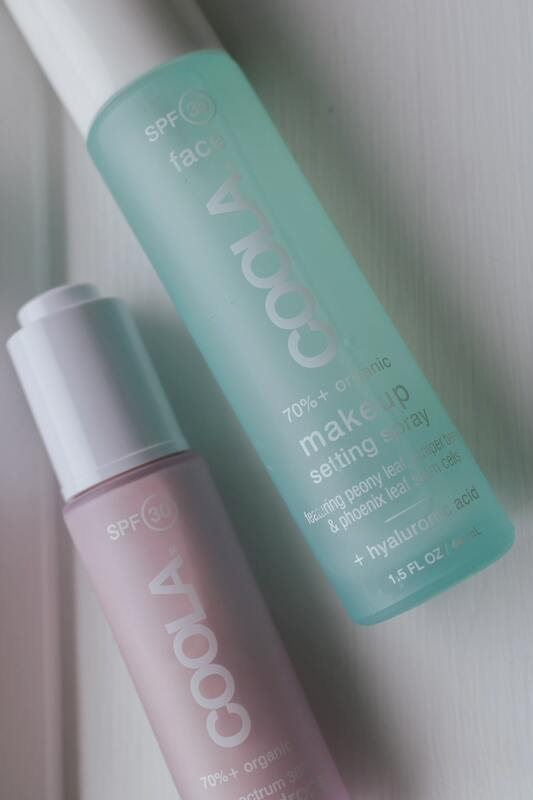 COOLA’s Organic SPF 30 Makeup Setting Sunscreen Spray is something I didn’t know I needed in my life, until now. For those of us that are lazy when it comes to sun care, this setting spray has SPF 30 to finish any makeup look. The one thing I will recommend is that when it says to close your eyes when spraying, CLOSE YOUR EYES! Additionally, maybe wait a few seconds for the mist to disappear after before opening your eyes to avoid any pain. I learned the hard way so that you don’t have to. This setting spray has a matte finish and helps to keep your makeup in place while providing additional hydration and sun protection. For those that don’t want to spray over top, here is a more traditional approach. The Organic SPF 30 Full Spectrum 360° Sun Silk Drops can be your saviour. These sun silk drops do more than protect you from the sun. They also protect your skin from damaging effects of digital overexposure. SAY WHAT? Yes, protection from digital exposure. Remember when you were told that staring at screens all day wasn’t good for you? This product is how I’m fighting back. This is how I’m protecting myself while I stare at screens all day. Computers, televisions, phones – you name it. At first, I was like “another sunscreen in another consistency”. But this whole digital exposure thing has blown my mind. So happy to have this one in my collection now! Have you tried any products from either of these brands before? I’m definitely finding this all impressive and definitely think these all deserve some attention! I’ve left some links below for easy access depending on where you live.